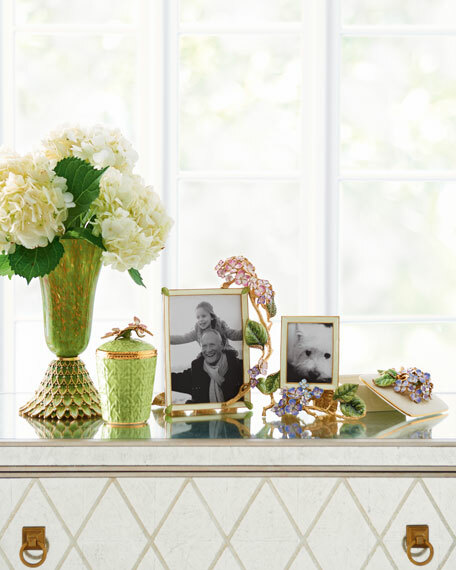 14-karat gold detailing with antiqued touches. Exclusive Jay Strongwater fragrance features jasmine, tuberose, and golden tangerine notes layered with amber, clove, and a hint of bitter orange. 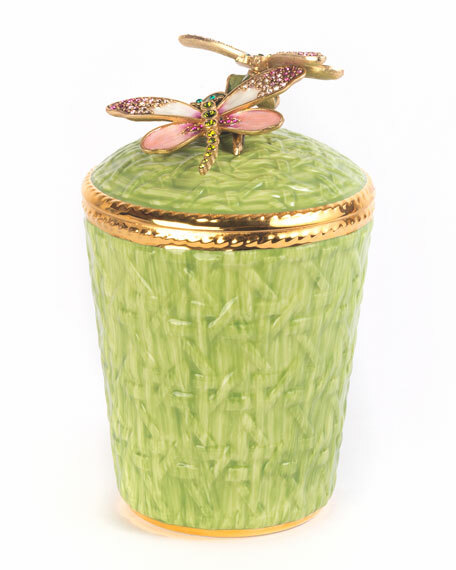 Decorative lid made of enamel, gold-tone metal, and oxidized nickel-plated metal. Soy wax candle; estimated 60-hour burn time. Scent: lemon blossom, geranium, black orchid, dark violets, sandalwood, and Amazonian mahogany. 3.75"Dia. x 5"T. Made in the USA. Candle container made of glass with natural and oxidized brass, nickel-plated metal, and enamel lid. Candle made of soy wax. 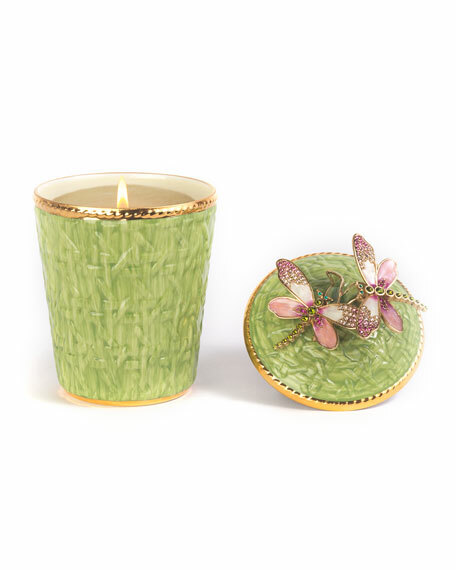 Candle container made of glass with natural and oxidized brass, nickel-plated metal, and enamel lid. Candle made of soy wax. Scent: blend of orange, magnolia, lily of the valley, jasmine, violet, honey, vanilla, amber, and musk. 4"Dia. x 4.5"T; 13.5 oz. Made in USA. Lid made of oxidized bronze, nickel-plated metal, and gold-tone metal. Triple wick, soy wax candle. Scent: lemon, petitgrain, fresh basil, verbena leaf, fir balsam, and lemongrass. 3.75"Dia. x 5"T; 13.5 oz. Assembled in the USA of imported materials. Paddywax Amber + Smoke Large Concrete Candle, 12.